Ed Vaizey, Minister for Culture and the Digital Economy, celebrated a new age of creativity and competition in the UK radio market at a special Digital Radio Reception held today at Global Radio's Leicester Square Headquarters in London. At the event, he noted the nearly 100 new commercial radio stations that have launched on either national or local DAB multiplexes, offering an unprecedented level of choice for listeners. 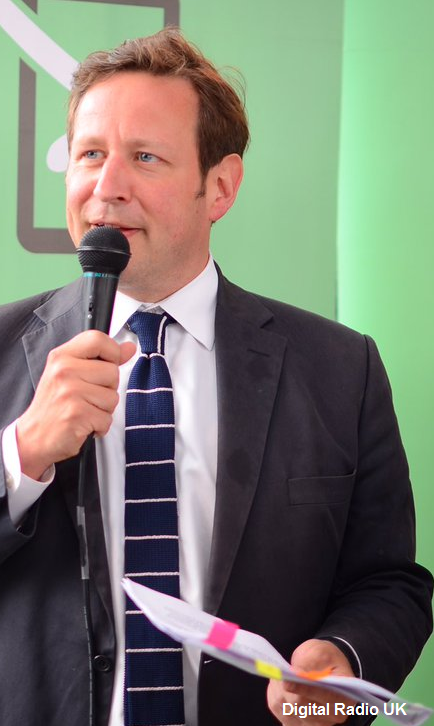 Mr Vaizey met a number of broadcasters involved with launching new national and local digital stations. 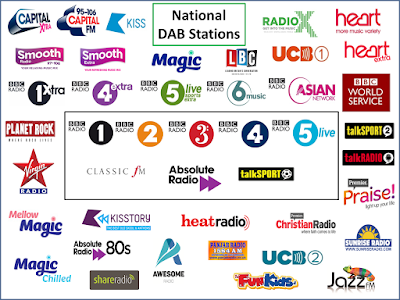 There are now over 40 national broadcast stations available in the UK on digital radio which compares with the historic number of eight national networks on FM. 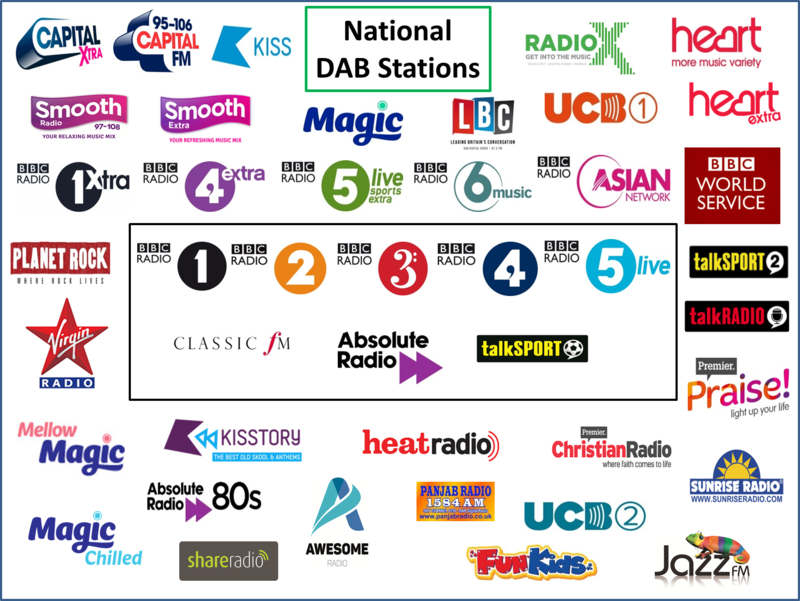 There are 11 BBC network digital stations and 32 national commercial radio digital stations as a result of the launch of Sound Digital, the second national commercial DAB network, in March 2016. The new national commercial radio stations include music genre stations such as Jazz FM and Chris Country; faith-based stations Premier Christian Praise, Awesome and UCB2; speech-based stations such as Share Radio and talkRADIO; sports station talkSPORT 2; and the return of Virgin Radio. The Minister highlighted the success of the Ofcom small-scale DAB trials, a Government-backed initiative, which has enabled nearly 90 local commercial and community stations to be launched in the last 12 months across 10 trial areas – London, Glasgow, Manchester, Portsmouth, Cambridge, Brighton, Bristol, Norwich, Birmingham and Aldershot. This significant expansion has been made possible by utilising DAB airwaves in local markets to support the launch of ultra-local radio stations, encouraging a surge of creativity across commercial and community radio with a wave of fresh new voices and innovative formats from stations such as Resonance, Rinse FM, Reprezent, Totally Radio, Max and Somer Valley. Steps are now being taken to make small-scale DAB a permanent feature of the digital radio landscape. The introduction of the DAB+ standard has, for the first time, enabled more niche stations to launch on DAB, and there's been a rapid increase in the number of local DAB only stations with new entrants to the market including Thames Radio in London, Great Yorkshire Radio on the North Yorkshire DAB multiplex and the imminent launch of Gloucestershire's Glow Radio. Additionally, the Minister announced that 85% of new cars now come with digital radio as standard, according to data for Q2 2016 from industry analysts CAP and The Society of Motor Manufacturers and Traders. This is compared to 70% in Q2 2015 or a year on year growth of 22.6% in units sold. In the last 12 months 2.1 million cars have been sold with digital radio fitted as standard. Alongside the expansion of digital radio content, national and local DAB coverage has been transformed, with BBC national DAB now providing coverage to 97% of the population and coverage of local stations expanding from 75% to 91% of the population by the end of 2016 as a result of an industry and Government –backed programme of work. Digital listening is projected to account for the majority of radio listening in the next 12 -18 months.